It’s the final day of my 22 Day, 22 Push-up Challenge. I was honored to be in Livermore at Las Positas Community College. I spoke to about 50 Vets at their Veterans First new veterans orientation. Thank you to Dr. Jannette Jackson, Chancellor, and Army Veteran for your gracious welcome. On day 21 of my 22 day, 22 pushup challenge to raise awareness to the tragedy of Veterans' suicide, I was joined at Brentwood Veterans Park by Steve Todd, Commander and Melissa Margain, Junior Commander, Brentwood Veterans of Foreign Wars Post 1810, California Highway Patrol Officers, Brandon Correia and Tom Maguire, and Pittsburg Police Officer Heidi Maguire. On Day 20 of my 22 Day, 22 Pushup Challenge, I spent time with Michael Blecker, Vietnam Veteran and Executive Director of Swords to Plowshares at one of their permanent supportive housing sites, Veterans Commons. Founded by veterans over 40 years ago, Swords to Plowshares provides a full range of wrap-around services, including housing, employment and training, and legal and health care assistance to roughly 3,000 veterans in the SF Bay Area each year. In this Day 19 video of my 22-day, 22 pushup challenge to raise awareness for Veterans’ suicide, I was at the San Ramon Memorial Park. It is a lovely location with memorial plaques dedicated to veterans who lost their lives in the line of duty. I was joined by Peggy Conklin and members of the Blue Star Moms, a service organization devoted to supporting each other as their sons and daughters serve in the Armed Forces of the United States. It is said that when a soldier deploys the entire family deploys. Also joining me at the push up challenge was San Ramon council member, Harry Sachs. It is Day 18 of my 22 day, 22 pushup challenge. In this video at the Pittsburg Veterans Memorial, I was joined by City leaders and veterans from the American Legion, United Veterans Council, and Disabled American Veterans. Pittsburg’s police officers, many of whom continue to serve their communities after serving in the armed forces, participated in the push up challenge. Thank you to those who serve and continue to serve our country and to organizations and individuals who support veterans as they adjust to post-service life. On this day 17 video of my 22 day, 22 pushup challenge, I was joined by Pleasanton City Council Members Kathy Narum and Jerry Pentin, SFC Eric Richardson and Doug Miller at Pioneer Cemetery, the future site of the Pleasanton Veterans Memorial. The community support for the Memorial has been tremendous but they are about $50,000 short. I shared with Doug Miller, the Memorial's biggest booster that I will contribute or raise $12,000 toward meeting that shortfall. Many communities honor their veterans in this way and we need to make sure Pleasanton can do the same. On day 16 of my 22 day, 22 pushup challenge, I was joined by Contra Costa County District Attorney Mark Peterson at the Vietnam War Memorial in Concord, California. The memorial grove of 32 oak trees represents the 32 Contra Costa County citizens who died in that war. Prior to our pushups, Mark and I discussed the tragic events that have occurred in Louisiana, Minnesota, and Dallas. This is a place of scenic beauty and for quiet reflection. Day 15 video of my 22 Day, 22 Pushup Challenge with Alameda County Sheriff Greg Ahern, his officers, and members of the 156th Academy class. I want to offer my special thanks to the 7 veterans in the group for their service in the armed forces and their continued service in the reserves. We owe our deepest gratitude and support to all Veterans. On Day 14 of my 22 day, 22 pushup challenge to raise awareness of the tragedy of Veterans’ suicide, we traveled to the soon-to-be-opened Diablo Valley College Student Veteran Resource Center. The Student Veteran Resource Center provides a place where Veterans, guardsmen, and reservists can find assistance in receiving their military benefits, their transition into academic life and support for their ongoing academic success. Vice President of Student Services Dr. The 13th day of my 22 day, 22 pushup challenge was held at the Concord Veterans Center, an extraordinary resource for counseling and mental health services for active soldiers and retired veterans. 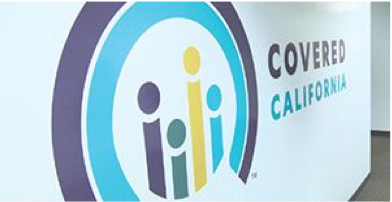 We hear from Executive Director Jeffery Jewell about how his professional staff handles thoughts of suicide with care and support. Retired Major General and current Concord City Councilmember Dan Helix led the push-up count 'military style'. We had a great group of veterans join in with the encouragement of Concord City Councilmember Tim Grayson. 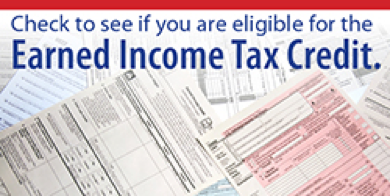 California's Earned Income tax credit is designed to put money in the pockets of working individuals and families. Find out what health plans are available to you and whether you qualify for a tax credit or Medi-Cal based on your income. 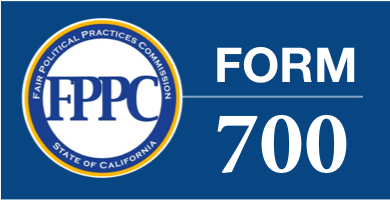 In accordance with my principle of openness and transparency, I am providing my Form 700, a statement of economic interests. Visit this site to find projects currently underway in the 7th District, which includes paving crumbling roads, filling potholes, improving the safety of bridges and traffic congestion relief projects. 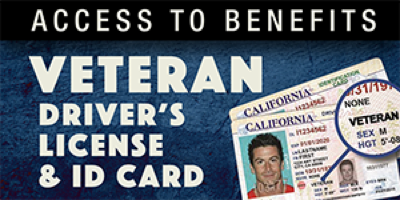 Visit the California Department of Veterans' Affairs to register to view veteran benefit and service recommendations.